"Here's How You Can Easily Create An Endless Cascade Of FREE Traffic To Any WordPress Blog..."
Imagine that your visitors loved your blog so much that they told all their friends about it. One visitor would tell ten friends, who'd tell a hundred more, who'd tell a thousand more. Your blog would be swamped with an endless cascade of traffic. And all without you paying a single penny for the traffic. In the real world, visitors just don't do that. There's no incentive for them to do it. Unless your blog contains something truly mind-boggling, your visitors are unlikely to tell a single one of their friends about it. 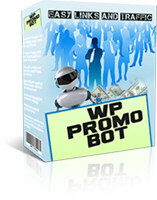 WP Traffic Bot gives your visitors a powerful incentive to tell their friends about your blog. It can get your visitors Tweeting about your blog, Liking it on Facebook, Social Bookmarking it -and anything else they can think of. Your visitors will aim to drive loads of traffic to your blog, while WP Traffic Bot manages the whole process for you on autopilot. 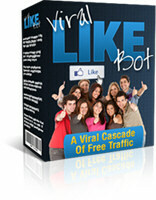 To use WP Traffic Bot, you need a downloadable product that your visitors will really want. Visitors to your blog will be offered this downloadable product free as a reward for persuading a certain number of other people to visit your blog (you choose the number - it can be anything from one person to a thousand people). 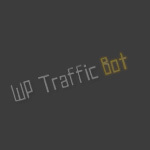 WP Traffic Bot manages the whole process for you. Once you have selected a suitable reward product, you upload the product to your blog, along with the WP Traffic Bot WordPress plugin. You also create a new page on your blog with a brief description of your product, telling visitors how they can get it free. There is a standard template page included with the software that you can paste into your blog as a new page and then edit as required. 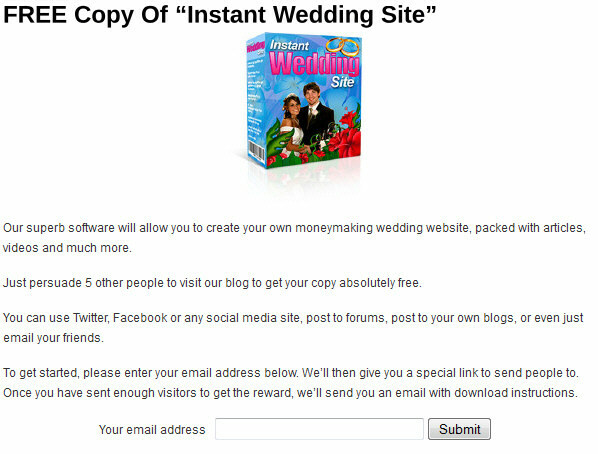 To earn the reward, a person enters his or her email address into the box and clicks the Submit button. You can (optionally) subscribe the person to an autoresponder if you wish (if your autoresponder supports subscribe by email). The plugin will then generate a unique "special link" for that person and display it. This special link allows the plugin to keep a count of the number of visitors sent by each person. The plugin uses "cookie" tracking and "IP address" tracking to ensure that only new visitors are counted (and to stop anyone cheating the system). The person should post their special link to their Facebook account, or their Twitter account, or a forum, or somewhere else that other people will see it. When visitors visit the special link, they will be redirected to your blog home page (you can redirect to a different page if you prefer). When the required number of visitors have visited the special link, the plugin will automatically send an email to the associated email address, with instructions on how to download the reward. The owner of the special link can also return to your blog at any time, to check how many visitors they have referred. This simple system automatically manages the whole process for you, giving people a powerful incentive to drive traffic to your blog, without any ongoing effort from you. There is also a special tool to upload the plugin and the reward product (or you can upload them using any other method). Your offer appears on a single page of your blog (your "offer page"). People need to actually visit the offer page in order to see the full details of the offer (and to sign up for it). 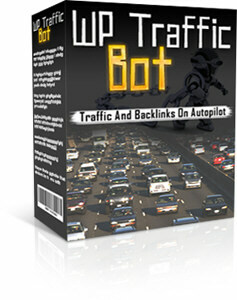 The WP Traffic Bot plugin includes a special ad system that advertises the offer on all your other blog posts and pages, encouraging people to visit the offer page. Your ad will then appear automatically on every part of your blog, driving visitors to your offer page, where they will sign up to earn your reward. WP Traffic Bot offers a unique alternative. 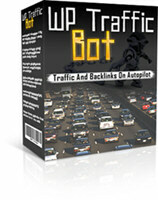 WP Traffic Bot is one of our three powerful WordPress traffic plugins. With our special offer, you can get all three plugins together at a special discounted price of 50% off. If you've decided NOT to order the 50% Discount Special Offer, you can order WP Traffic Bot now for just $19.95 using the button below.